How Much Compensation For A Accident Causing A Hernia Injury? If you have experienced an accident that resulted in a hernia, you will be only too aware of how much this can impact on your day-to-day life in the aftermath. Hernia surgery is invasive, painful and will often lead to a substantial period of time where you are unable to work. What is a hernia injury? I got a hernia injury at work – Can I sue? I have a hernia caused by a car accident – Can I claim compensation? My child developed a hernia after falling in school – Can we claim compensation? What can be claimed for after an accident that caused a hernia injury? How are Hernia Injuries treated? How much compensation will I receive from my hernia injury claim? Why choose us as your claims service for a hernia injury? Hernias are common injuries, usually diagnosed by an unsightly bulge in the abdomen, thigh or groin. They are typically caused by an internal organ forcing their way through an interior wall of muscle or tissue, and require surgery to have the organs pushed back into place – where some kind of wire mesh or organic matter will keep them where they belong, until the cell wall has regenerated sufficiently. If you have developed a hernia in a work-related injury, or an incident in a public place such as an accident has caused a hernia, you may be entitled to compensation through the legal system. Hernia settlement amounts vary depending on the circumstances and results of the surgery, but this guide will talk you through how to make a claim. Be aware of your surroundings if you have been involved in an accident that has resulted in a hernia injury, and log everything – you will need this information for your case to make it to court. If you got a hernia at work, inform your employers immediately and have them investigate their policies of such incidents, and whether they have an existing hernia at work compensation package. If it was an accident that caused your hernia, and you can prove that you were not to blame, note the date, time and circumstances, and check for any witnesses who may be willing to make a statement to this effect – this may help your case when the time comes to present to an adjudicator. As in any similar situation, the first thing you’ll need to do if seeking a settlement for hernia surgery is to ensure that your condition is documented by a medical professional. Make an appointment with your doctor as soon as you notice the symptoms of a hernia such as pain and unfamiliar bulges on your body, and if at all possible, seek a second opinion as confirmation. Ensure that you receive records of these discussions, and if applicable, send copies to your employer or the owner of the public place that you are filing your claim against. Take the advice of your doctor regarding how to proceed in terms of physical activity, as ignoring and aggravating a hernia can lead to further complications in the short- and longer-terms, as well as potentially damaging your claim – you will be asked to prove that your injury was not caused by any action or inaction of your own, or any pre-existing health concern. Once you have consulted the necessary healthcare professionals, call us on 0800 073 8804 to discuss your case. Compensation for hernia surgery is one of the many subjects that we specialise in, and we will embark on a fact-finding mission as to how we can assist in your settlement. The earlier you do this, the more likely you are to be successful in gaining the compensation that you deserve for your hernia. Hernia and worker’s compensation cases often reach our desks, particularly for those that work in the labour industry. Any business has a duty of care of their employees to keep them safe, whether that is through appropriate training or necessary safety procedures, and if you have suffered a accident at work injury that has resulted in a hernia, a worker’s compensation settlement may be a solution to recover your lost earnings and reimburse you for your pain and inconvenience. result in a personal injury claim. For example, you may have slipped on a wet surface that has no warning signage, or tripped over a foreign object in the street or workplace that should not have been there. 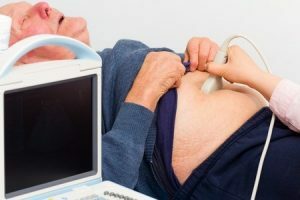 If you develop a hernia as a result of this negligence on behalf of another – for example, you strained your abdomen reaching for something to break your fall, or you developed a muscular hernia as a result of the impact – you may have a case for filing a claim. Call us on our free phone number at your first convenience to make a start. Much like the above, you can file a claim for any hernia injury that originates from the negligence of another in a public place, provided that you can prove that the injury was entirely due to this incident. However, you will need to ensure that there is a third party that can be proven to be directly to blame for your injury. Tripping over a fallen tree whilst walking your dog in the woods cannot be pinpointed to another; tripping over a paving slab, however, could lead to a claim being filed against a local governing body or labour company that left the hazard unattended and put you at risk. Yes, of course if it was not your fault– you are protected by the Health and Safety in the Workplace Act of 1974. Just remember that the burden of proof that your injury arose in the workplace will fall on you, especially if hernias are considered to be an ‘occupational hazard’ in your line of work. This is why it is hugely important that you document the events that surround the injury, notify your employers immediately and confirm that the incident is recorded in an accident book, seek immediate professional diagnosis, and ensure that you can prove you took any necessary steps to protect yourself. If you can prove that your hernia was an avoidable result of your employer placing physical demands upon you and your body, you will have a strong claim. Yes, and it is strongly advised to do so, assuming that another driver was at fault for the accident and you can prove that the hernia stemmed from the incident. You will be eligible to file against the other driver in the same way that you would any other major or minor injury that was caused by careless driving. Just like a workplace, a school can be sued if they fail in their duty of care to keep your child safe. The rules that apply are very similar to taking legal action against a business. Ensure that the school is aware of the incident and has logged your child’s injury in an accident book, and confirm that the school was indeed to blame. General childhood falls such as tripping while running and playing will more than likely not result in a compensation payout, but negligence on behalf of the school (such as leaving trip hazards in a playground or classroom) more often than not will be. There are five core areas that anybody involved in an accident that results in a hernia may wish to claim for. Hernias can be extremely painful, and cause huge amounts of emotional distress as much as physical discomfort. A claim for general damages will encompass any change to your lifestyle caused by the accident that caused your hernia, such as the aforementioned pain and emotional trauma, and any changes you will have to go through in the shorter- and longer-terms of your injury, such as an inability to lift and carry shopping bags and clean the house. It is not just the injured party that suffers in the aftermath of a hernia. A spouse of other carer may need to take time off work to assist the individual, who often will not be able to do many basic tasks for themselves, including dressing and generic household tasks, in the immediate aftermath of surgery. The carer in question is entitled to seek reimbursement for any lost earnings during this enforced absence from work. It stands to reason that you will not be able to work following hernia surgery, and if you have a physical job the time spent in recovery may be longer – or even permanent, leading to a need to change career. These lost earnings, whether they be in the present or projected in the future, can be reclaimed as part of your case. Following any kind of surgery you will need to have a number of follow-up appointments with doctors and hospital specialists, and hernia operations are no exception. It will be essential that you attend these appointments as medical records must be updated at all times, and if you are unable to drive you may end up with some taxi bills. Always get receipts so that you can seek these expenses back. Even if it is just over-the-counter pain medication, you will likely incur a great deal of medical expenses during your recovery from hernia surgery – with bandages and dressings, hernia belts and private physiotherapy also leading to potential bills. Retain records and receipts for all of these expenses, as you may be entitled to reimbursement as part of your claim. Inguinal Hernias, which occur in the groin as a result of fatty tissue or a part of your bowel pushing through your muscle tissue. Inguinal hernia settlements and worker’s compensation claims are very common, as straining the abdomen by lifting and carrying often causes this injury. Femoral Hernias, which have the same symptoms and effect but unlike Inguinal Hernias, which primarily occur in men, are more often diagnosed in women. Femoral Hernias are comparatively rare, and can be caused by old age as a body begins to wear down. Umbilical Hernias, which are so named as they often occur in babies when the umbilical cord does not allow the tissue around the abdomen to close; these hernias result in a part of the bowel pushing through the navel. In some rare cases, however, abdominal strain can cause an Umbilical Hernia in adults. Incisional Hernias, which can be a consequence of surgery such as an appendectomy or caesarean section – internal organs pushing through soft tissue cause these hernias that have not healed post-surgery. Incisional Hernias could lead to a strangled bowel, and should thus be treated very seriously. Muscle Hernias, which can see an abdominal, back or leg muscle pushing through the skin and causing a bulge. These hernias are very common in sportspeople. Hernia compensation amounts depend on the impact that your hernia may have had on you and your quality of life compared to before the injury, so it is very important that the severity of your hernia is investigated. The severity of a hernia is usually determined by an ultrasound scan, which your doctor or consultant will use to decide how to proceed. In most cases, this will result in surgery, unless the risks of undergoing such a procedure outweigh those caused by the injury itself. Hernias are almost always treated surgically, but this could be a minor keyhole procedure or a more substantial process, depending on the severity of the injury. If keyhole surgery is appropriate, this will be the preference of most surgeons. Several very small lacerations will be made surrounding the area and the problem organ will be pushed back into place. If necessary, a surgical mesh akin to chicken wire will be placed inside the body to hold the organs into place – these may be temporary, meaning they will dissolve as the repairing cells absorb them, or permanent, which ensues they will stay in position. Keyhole surgery for a hernia usually enables the patient to return home the same day and make a full recovery in around three weeks, though it can be painful and hernia mesh compensation claims are filed on occasion. If your hernia requires open surgery, this is usually a sign that the injury is more complex – this could be a result of the hernia going unattended for too long and aggravating, or close proximity to the bowel or reproductive organs. These procedures typically take longer to recover from – often as long as six weeks at a minimum. The hernia compensation payout that you may be entitled to depends on the severity of your hernia injury, and the impact that it may have had on you – including any aftermath. Whilst not a direct hernia compensation calculator, due to the fact that the impact of a hernia accidents tend to be very unique to the individual, this table below will provide a top-line example of some typical examples of hernia injury compensation. General Psychological Damage Severe £45,840 to £96,800 If your hernia injury causes severe psychological damage, including an inability to function successfully in life and work and an effect on your relationship with family and friends, you may be entitled to a top-level pay-out. This is rare in cases of hernia injury, however. Moderately Severe £15,950 to £45,840 These payments largely revolve around an inability to return to previous employment as a result of stress caused by the hernia injury. Moderate £4,900 to £15,950 Life-altering stress has been caused by the hernia injury, but a full recovery has taken place or is looking likely. Less Severe £1,290 to £4,900 You may still be experiencing some non-specific signs of mild stress from the hernia injury, such as a fear or inability to perform certain basic tasks. Reproductive System – Male Impotence and/or sterility Up to £117,700 In some very rare cases, due to the close proximity of the reproductive organs to an area of operation, issues of this nature could follow hernia surgery. The level of payment will depend on a number of factors, including age and the psychological impact. Reproductive System – Female Infertility Up to £141,630 Again, this is highly unlikely but it can happen. As above, the payment will rely on a number of factors that surround the individual’s circumstances. Chronic Pain Severe £35,200 to £52,660 If your find yourself in constant, searing pain that impacts on your ability to work and function daily, you may be eligible for this payment bracket. Moderate £17,600 to £32,180 A recovery may be possible eventually, but you will have experienced significant pain and discomfort in the meantime. Scarring £6,550 to £19,000 Very noticeable and unsightly scars somewhere on the body, including internal scarification. £7,230 Inevitable scarring caused by an operation that would not have been required where it not for the accident that caused the hernia. £1,980 to £6,550 A single or several superficial scars, caused by the injury itself or necessary surgery that followed. General Minor Injuries £1,160 to £2,050 If you experienced other injuries alongside your hernia that took three months or more to heal, you may claim for a higher payment. £580 to £1,160 Injuries that caused an impact on your life and wellbeing for up to a month. A few hundred pounds to £580 Very minor injuries that take just a week to heal. Specialist Hernia Payments £12,430 to £20,210 This payment applies to somebody that continues to endure pain and physical limitations, with no sign of the situation improving. £5,860 to £7,620 This level applies to somebody that developed a hernia through another surgical or medical procedure, with the risk of return in the future. £2,830 to £6,050 This is the typical payment for somebody that experienced a hernia as a result of an accident and has made a full recovery. Just to stress, however, this is very much a guideline – we will need to discuss your hernia injury with you in greater detail to give you a stronger idea of just how much you may expect to claim on a hernia compensation payout. As the name no win no fee suggests, if your claim is not successful following our fact-finding work and bringing the case before an adjudicator, you will not pay a penny in legal fees – there are no hidden charges. If your claim is successful, which we believe it will be if we agree to take on your case, our fees will simply be taken from your financial award. Our record of success speaks for itself, and we will not waste your time with any hernia injury claim that we do not feel will result in a financial award. With many years of experience, we are ready to help you receive the compensation that you deserve. Our friendly and professional team is on stand-by and are waiting to hear from you. Just call 0800 073 8804 and start your hernia injury claim today. The NHS website lists the different kinds of hernia that you may face, and the impact of any such injuries. The Government’s official Health and Safety website offers a case study of a workplace injury hernia, and the steps that were taken to compensate the individual that suffered the injury. Have you had a hernia injury due to a accident at work? find out if you can claim compensation contact our team today for free advice. Have you had a hernia injury due to a manual handling accident at work? get free legal advice today on your hernia injury.